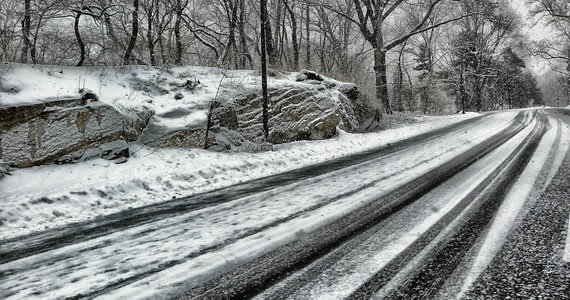 The winter months bring a lot of nasty weather that can leave the roads coated in ice and snow. Even if it is warm enough for a storm to bring rain instead of ice or snow, it is still easy to get into an accident. What are some things that you can do to avoid getting into a car crash this winter? Before you leave home, school or work, make sure that your car is in good physical condition. If you notice that the tires need air, don’t hesitate to find a gas station and inflate them right away. Better yet, you can buy a portable inflation unit that allows you to complete the task quickly and easily no matter how much experience you have with car maintenance. Other issues to look for include fluid leaking from the car or the car not starting when you turn the key. The easiest way to get into an accident is to drive too fast for road conditions. Even if the speed limit on the highway is 55 miles per hour, you should go 10 to 20 miles per hour under that in a snow or rain storm. This ensures a safe following distance and lowers the risk that you will skid or slide off of the road. If you know that it is going to snow or otherwise be hazardous outside, you should just stay home if you can. In the event that you have to go to work, you could call your boss and ask to come in late or work from home instead of putting yourself in danger. Most employers would rather lose you for the day as opposed to risking your long-term safety. After an accident, the first thing that you will want to do is call an attorney, like the professionals at Randall A. Wolff & Associates, Ltd. He or she will review the case and let you know how to get any compensation that you may be entitled to. Having in mind which lawyer you would like to use well before any car accident is also a great idea as it will be one less thing that you have to worry about. Car accidents are never fun regardless of when they occur. However, winter crashes may be more dangerous because you could be stranded in cold weather for hours at a time. Therefore, it is in your best interest to avoid them at all costs through good planning and safe driving habits.